American Flag Medallion Certificate Frame is designed to hold a single 8-Inch by 10-Inch document, certificate, award, diploma or picture. This picture is set into a double layer of Blue matting with Gold trim. American Flag Medallion Certificate Frame is designed to hold a single 8-Inch by 10-Inch document, certificate, award, diploma or picture. This picture is set into a double layer of Blue matting with Gold trim. The frame is made from Mahogany colored wood, and the outside dimensions measure 14-Inches by 14-Inches. 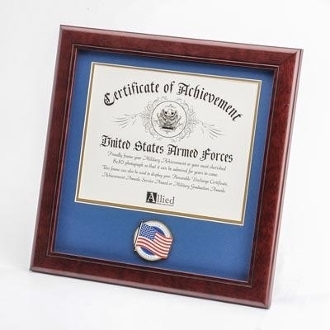 The American Flag Medallion 8-Inch by 10-Inch Certificate Frame is perfect for proudly displaying the picture of an individual who is serving, or has served in the U.S. Military, Civil Service or any other patriotic capacity. 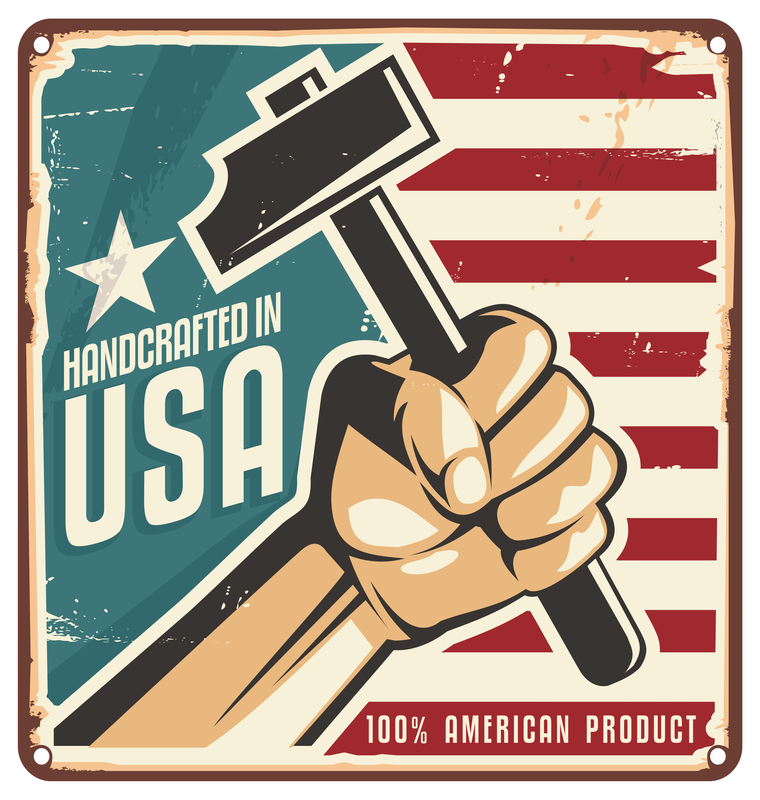 This American Flag Certificate Frame features: Small American Flag Medallion. Double Layer Blue Matting with Gold Trim. Outside Dimensions: 14-Inches by 14-Inches. Mahogany Colored Frame Molding. Inside Dimensions: 12-Inches by 12-Inches. Primary Document Opening: 8-Inches by 10-Inches. Desktop Easel and Wall Mounting Hardware Included.